Porvoo, one of Finland's oldest and prettiest towns, boasts cobbled streets, famous red-brick warehouses, and a charming river. 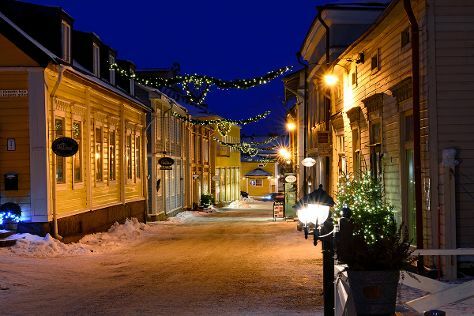 Although it officially became a town in 1346, the majority of the buildings in this compact city are from the 19th-century, made of wood and sporting Porvoo's pervading red-and-yellow color scheme. The riverfront, home to some of the city's oldest construction, is the most popular area among visitors. Sportier types can kayak or canoe down the waterway. Porvoo is in Uusimaa. Inspirock's itinerary builder makes planning a Finland trip simple and quick.